Lawyer – Labour, Employment & Administrative Law Charlottetown, Prince Edward Island Cox & Palmer is currently seeking lawyer to join the firm’s growing labour, employment and administrative law practice group. The successful candidate should have four or more years of experience post-call (but could have significantly more), with direct experience in labour, employment and administrative law matters. This is a partnership track position. Cox & Palmer is a full-service, top-ranked Atlantic Canadian law firm with knowledge and experience clients rely on for solid legal solutions. The firm prides itself on a collegial work atmosphere and supportive team environment. We hire self-motivated, team-minded individuals with a strong work ethic, integrity and a commitment to client service. 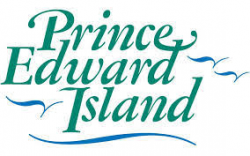 Competition Number 134907-1018JPPI Available Positions FULL-TIME EXCLUDED POSITION Locations Charlottetown Department Justice and Public Safety Closing Date 2018-10-24 17:00:00 Salary $48.73 - $60.91 per hour (25S Excluded) Duties Bi-Weekly Hours: 75.0 hours bi-weekly (Commencing Immediately) Reporting to the Director of Family Law and Court Services, the Solicitor & Legal and Policy Advisor provides leadership in the delivery of reliable, accurate, timely and well-informed advice to the Division of Family Law and Court Services on legal and policy issues and the potential legal and policy implications of legislative, policy, programs, initiatives and projects within the Division. Duties include: - Analyzing, developing and implementing new, or modified Divisional legislation, policies, programs and processes within the Division’s Sections: Court Administration, Office of the Public Guardian, Public Trustee and Official Guardian and Family Law; - Reviewing Divisional materials related to Bills (responses to Standing Committee correspondence; line-by-line summaries; Q&A documents; introductory statements, etc) and providing summaries and recommendations to the Director of Family Law and Court Services; - Providing leadership and guidance relating to Divisional legislative and policy matters, including the identification of necessary amendments to Acts, Regulations and Rules of Civil Procedure; - Monitoring Divisional program operations to ensure that policies and procedures are reviewed and meeting operational realities, goals and objectives; - Responding to client incidents and/or complaints on behalf of the Director of Family Law and Court Services where directed; - Providing mentorship, support and professional development to Family Law Section staff that are responsible for providing client focused services to assigned sites and functional areas; - Act as the Legal Advisor to the Family Law, Court Administration, and Public Guardian & Trustee sections within the division; - Overseeing provincial leadership of Federal/Provincial/Territorial relations that impact the Division of Family Law and Court Services; and, - Other duties as required. Qualifications Minimum Qualifications: - Must have a law degree and be a member of, or eligible for membership, with the Prince Edward Island Bar Law Society supplemented by extensive experience as a practicing lawyer, preferably in government or in the area of public law. - Extensive experience in the provision of legal advice in relation to family law and court administration. - Extensive experience in developing and amending legislation and policies and specific legal experience related to the interpretation of legislation and policy. - Considerable supervisory experience and excellent writing and analytical skills are required. - Must have the ability to interpret and apply provisions of complex legislation. - Strong investigative skills, time management and organizational skills are required. - A proven ability to develop good working relations with external organizations and agencies. - Must be proficient in Microsoft Office, Vizio, Adobe Pro and Groupwise. Please Note: Please ensure the application clearly demonstrates how you meet the noted qualifications as applicants will be screened based on the information provided. The successful candidate will be the only individual receiving written notification of competition results. Stewart McKelvey is an innovative, client-driven law firm committed to providing the highest quality of ethical legal services, earning clients' trust and striving to always exceed expectations. The Firm invests in its people, technology and its business to ensure the continued delivery the quality service that clients have come to expect from the firm. As a Firm, we value diversity and are committed to providing a workplace that fosters a culture of awareness, appreciation and respect. It is our mission to promote diversity and inclusion throughout the firm, to support the diversity initiatives of our clients, and to encourage greater inclusion in our communities through sponsorships and support. Stewart McKelvey is looking for an Associate Lawyer to join our team to work with our corporate group in our Charlottetown, PE office. The ideal candidate will have three to six years of experience primarily focused on corporate commercial matters, including real property matters. Candidates with strong interpersonal and communication skills as well as demonstrated transactional experience will be given preference. Applicants should outline their specific transactional or other experience. This is a partnership track role and, as such, candidates must actively participate in client development and corporate social responsibility initiatives. Stewart McKelvey takes pride in providing exceptional service to our clients and our ability to offer Associates challenging legal work often found only in larger legal markets. We offer a collegial work environment, unsurpassed technical support and professional development opportunities, a competitive compensation package and the opportunity to work with some of Atlantic Canada's leading corporate lawyers. Interested applicants must be a member in good standing with a Canadian Law Society and should provide a resume and cover letter, including, as noted, details on the type of experience the applicant offers by October 12, 2018 . If you have specific questions about this role, please contact Susan Hayes at shayes@stewartmckelvey.com or 902.490.8574. All inquiries will be held in strict confidence. We thank all applicants for their interest. However, only those selected for an interview will be contacted.